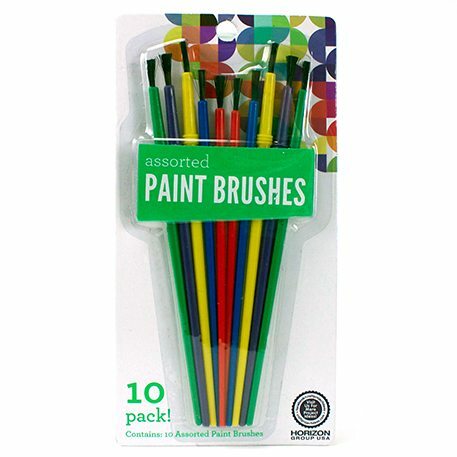 Use this 10 pack of Paint Brushes to create your own work of art! Paint with acrylic or washable paints at home or in the classroom! Paint brushes, in this pack, comes in assorted sizes, shapes and different color handles for all your painting needs!